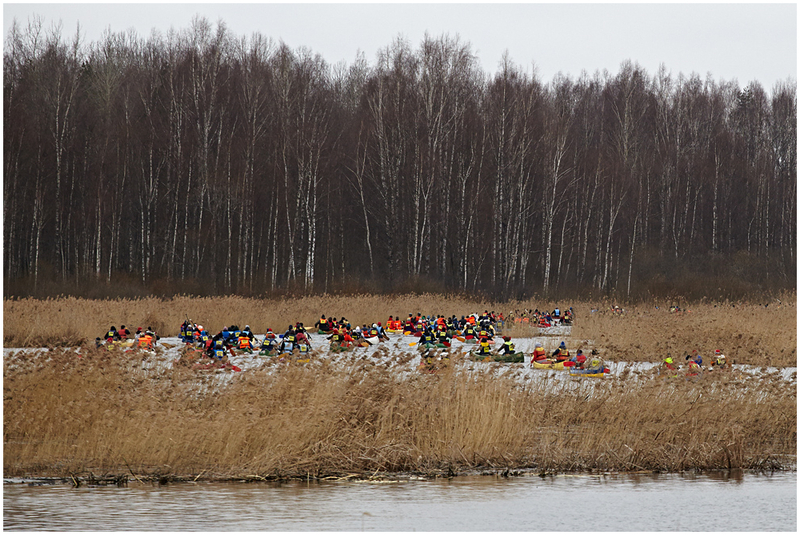 Vaido (Võrumaa, Estonia) on 20 April 2013 in Sport & Recreation. 100 kilometres on river Võhandu. Takes about 10-20 hours to complete. More than 500 boats are participating this year. Here is also my time-lapse video from the start of this event. Sajakilomeetrine Võhandu maraton on praegu täies hoos, rohkem kui 500 paati alustas hommikul. Spordipeo stardist tegin ka väikse time-lapse video. this looks like fun, but you'd better not fall into the water ... i bet it's still very cold ! A colorful set of participants.